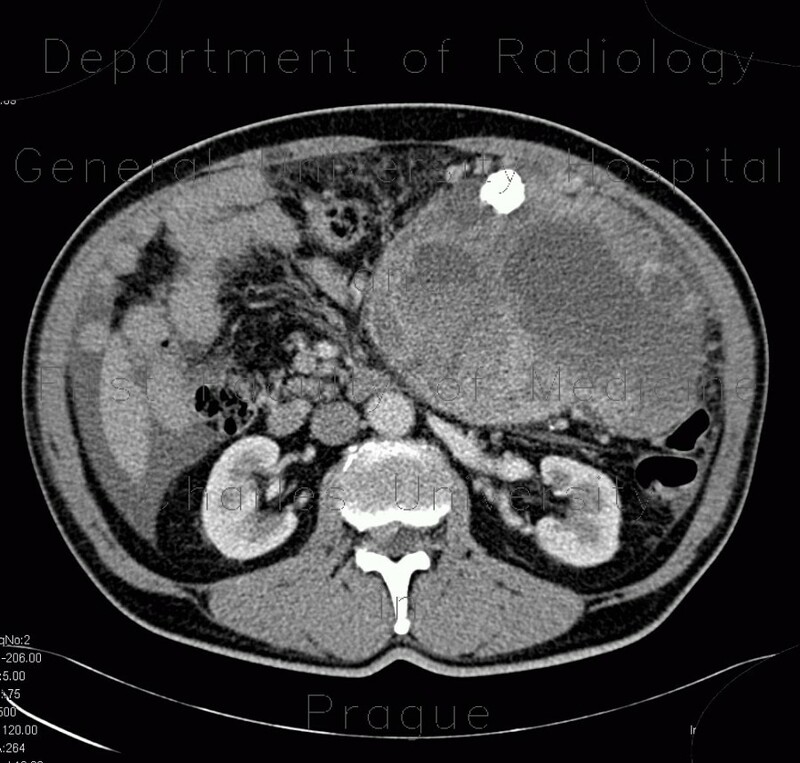 CT shows a gigantic mass filling the left half of the abdomen. The mass arises from the retroperitoneum, has lobulated contours, and contains cystic spaces due to necrosis. A biopsy was performed under CT guidance. Ultrasound shows the same - soft tissue mass with multiple cystic spaces and flow on color map.